For more than 200 years, the Royal Horticultural Society (RHS) has been the force behind the nation’s love of gardening, backed up by its core vision to ‘enrich everyone’s life through plants, and make the UK a greener and more beautiful place’. A shining example of this is the charity’s flagship garden, RHS Garden Wisley in Surrey, which is one of the UK’s most visited and best-loved gardens. 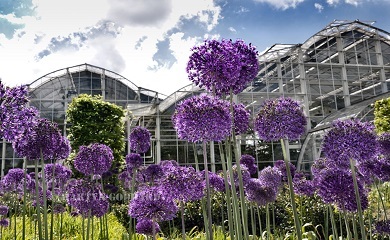 Wisley was given to the RHS in 1903 and is now a hub of horticultural excellence and a top visitor attraction, with 97ha (240 acres) to explore. It is home to some of the largest plant collections anywhere in the globe and showcases inspirational gardening. Planting schemes are constantly evolving to ensure there's always something new to excite and inspire visitors. Key highlights throughout the seasons include The Glasshouse, Rock Garden, Bowes-Lyon Rose Garden, The Mixed Borders and the newly-created Exotic Garden.